We investigated the long-term influence of physical activity on the risk of dementia in an elderly Japanese population. A total of 803 community-dwelling elderly Japanese individuals without dementia aged ≥65 years were followed prospectively for 17 years. Physically active status was defined as engaging in exercise at least one or more times per week during leisure time, and participants were divided into an active group and an inactive group by the presence or absence of such physical activity. 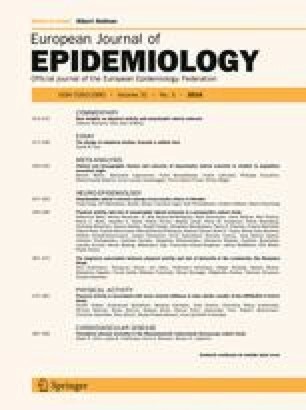 The risk estimates of physical activity on the development of all-cause dementia and its subtypes were computed using a Cox proportional hazards model. During the follow-up, 291 participants developed all-cause dementia. Of these, 165 had Alzheimer’s disease (AD), 93 had vascular dementia (VaD), and 47 had other dementia. Compared with the inactive group, the active group showed significantly lower crude incidence of AD (21.8 vs. 14.2 per 1000 person-years, p = 0.01), but no significant differences were observed for all-cause dementia (35.6 vs. 30.5, p = 0.17), VaD (11.3 vs. 9.8, p = 049), and other dementia (4.6 vs. 7.1, p = 0.15). After adjusting for potential confounders, the relationship between physical activity and risk of AD remained significant (adjusted hazard ratio 0.59, 95 % confidence interval 0.41–0.84, p = 0.003). Our findings suggest that physical activity reduces the long-term risk of dementia, especially AD, in the general Japanese population. The authors thank the staff of the Division of Health and Welfare of the Hisayama Town Office for their cooperation in the present study. This study was supported in part by Grants-in-Aid for Scientific Research (A) (25253048) and (C) (25460758, 26350895, 26460748, 15K09267, 15K08738, and 15K09835) from the Ministry of Education, Culture, Sports, Science and Technology of Japan; by Health and Labour Sciences Research Grants of the Ministry of Health, Labour and Welfare of Japan (H25Junkankitou[Seishuu]Sitei022, and H26Junkankitou[Seisaku]Ippan001, and H27Shokuhin[Sitei]017); and by the Japan Agency for Medical Research and Development (AMED) (15dk0207003h0003, 15dk0207018h0001, 15ek0210001h0003, 15ek0210004s0102, and 15gm0610007h0203(CREST)).